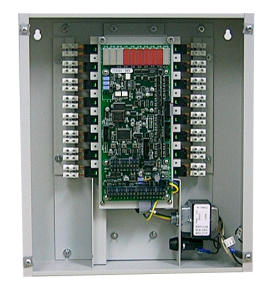 Triatek’s LP-3500 Lighting Control Panel is used in arenas, stadiums, and commercial buildings around the world. 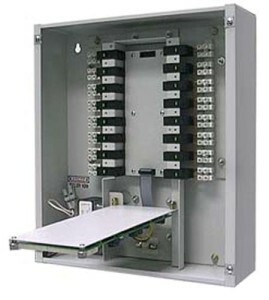 The LP-3500 provides the capability to control high voltage lighting circuits via a two wire RS-485 network, occupancy sensors, light level sensors, and manual override switches. 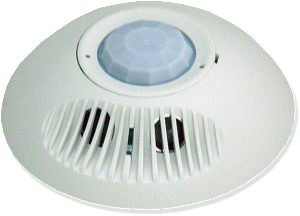 The LP-3500 works in conjunction with Triatek’s LP-IR-DT Motion Sensor. The LP-3500 integrates with most building automation systems, which lowers the installation and operating costs. It features improved relays with longer life spans and a direct manual override option that can be switched on or off without power, allowing electricians to manually control the circuits during installation. The LP-3500 allows authorized users to override the circuits after installation, an added feature not common in other lighting control products. The LP-3500 integrates with most building automation systems, which lowers the installation and operating costs. It features improved relays with longer life spans and a direct manual override option that can be switched on or off without power, allowing electricians to manually control the circuits during installation.